A newly installed hot water heater useful life is estimated to be 8-12 years. But this lifespan will be determined by how well the unit is used and maintained. If properly maintained, the water heater unit can even serve you up to fifteen years or more. On the other hand, it can die prematurely. But what could be the reason for a premature unit failure? 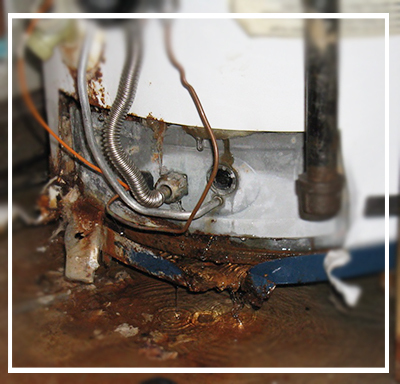 Neglect is the most common cause of the premature end of useful life of water heater units. These units are mostly installed outside the house or in the garage. Being out of sight and that usually means they are out of mind. They are easily forgotten and most of the time neglected, and this becomes one of the main problems killing them. For most homeowners, once the right type of hot water system has been installed and it’s supplying them with hot water, they are okay. The unit is neglected, and this makes it impossible to early identification of even a small problem like a leak for repair. It’s only realised when the problem is out of hand and sometimes irreparable. Making sure that you have developed a routine check on your unit is the best solution. At least check its condition twice per week. The tank is usually made from metallic steel that’s prone to rust. Sometimes the quality of the water also determines the rate of rusting. For instance, hard water causes more rust compared to the soft water. But there are measures put in place such the sacrificial anode rods to slow down the rate of internal rusting. These rods are made from magnesium or aluminium material and works by undergoing galvanic corrosion to extend units useful life. Instead of the metallic part of the tank corroding, it’s the anode rod that corrodes. Make sure that you have changed the anodes before they are corroded down to the wire. If they are not replaced on time, the tank will start rusting, and this will reduce your water heater lifespan immediately. Check it at least once a year. Commonly known as scale, sediment is another problem that will kill you hot water system within a very short time. If you are using hard water, this is one of the problems that are likely to destroy your unit completely. Sediment builds up at the bottom of your water heater and thus insulates this part from the anode protection. This means that there will be rusting at the bottom of the tanks and probably leaks will start developing. The build-up can also cause the bottom to overheat, and this might melt away the protective glass lining in the gas hot water heater. It can also cause the burying or burning out of the heating element in electric water heaters. The best way to prevent sediment damages is by having the tank cleaned regularly to drain them. You can also prevent it installing a water softener. This is a serious problem that is affecting a lot of people without knowing. A majority have no idea of what should be kept far from their hot water units. With a majority, if the Brisbane dwellers using gas hot water heaters, the chances of corrosive fumes leading to a premature unit failure is very high. 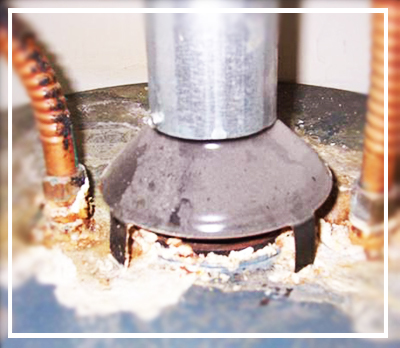 It is important to note that gas water heater can draw corrosive air into the burner. The fume created will be corrosive, and it will damage the water heater. Always have corrosives kept away from the water heater. This may include bleaching agents, ammonia or acids and anything that qualifies to be corrosive. Water heaters come in different capacities depending on the number of people it can serve. Every manufacturer has a sizing program that helps the end user to select what can serve them better depending on their load capacity. The fact the sizing also determines the cost of the unit, some of the homeowners may be tempted to buy a small unit yet they have a large household. This is one of the main problems that could be killing your unit. If it is too small for the task, it will break down due to constant expansion and contraction of the tank. Always have the right sizing irrespective of the cost. If you add more appliances or users in your home, replace the unit with a larger one or control the user of hot water to prevent against overload. This problem is closely related to negligence. After the water heater is installed, unions and flex lines are supposed to be tightened after about six months. The reason behind this is because the rubber washers connecting the joints start to shrink and this might result in leakage. If they are not tightened on time, the leaking joints will start rusting from the outside in. This will definitely mean the demise of the water heater. With proper maintenance and regularly checking the water heater, it will be easy to identify some of these problems before it’s too late. Make sure that you are tightening these parts at least after every four months. High water pressure is a hidden killer of the water heater and one that a lot of homeowners wouldn’t even suspect. Furthermore, a lot of people don’t know the pressure that can destroy their unit. For you information, the standard pressure for any water heater should range between 60 and 80 psi. Any pressure over 80 psi can damage not only the water heater but also your plumbing system and appliances. Make it a routine to check the pressure limits of the water heater. Sometimes the pressure reducing valve could the problem and it’s important to have replaced. An expansion tank is also a great solution since it provides protection against damages caused by thermal expansion. This is another silent killer of your water heater unit. Electric models are the most affected. The current may be leaking from the heating element connection or a contact with a naked cable. If an electric current comes into contact heating unit, it easily conducted by the water throughout the entire system. We know that by passing an electric current through the water (electrolysis), some corrosive hydrogen gas will be produced. This is what will corrode the water heater and the piping system. Insulate the unit from leakage currents, particularly with the electric hot water system. It’s important to have the unit properly earthed or grounded with a copper wire. If possible, the plumbing system should not come anywhere close to an electricity wiring. These are the main problems that can end the useful life of your water heater prematurely. Most of them are obvious and are as a result of the user’s negligence while others are insidious. Most of them can be preventable, and you can fix them yourself. If the problem is too much for and you feel that you are not up to the task, just call Hot Water Brisbane, and we will fix the problem.